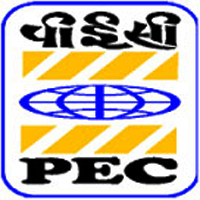 Online Application Details for Project and Equipment Corporation of India Limited PEC Limited Recruitment of 3 General Manager and 9 Joint General Manager is given below. Application form and duly attested documents are to be sent to Chief General Manager (Personnel & Administration)/HR, PEC Ltd., 14th Floor, Hansalaya, Barakhamba Road, New Delhi – 110001. In envelope super scribed with 'Application for the Post of Post Name'.